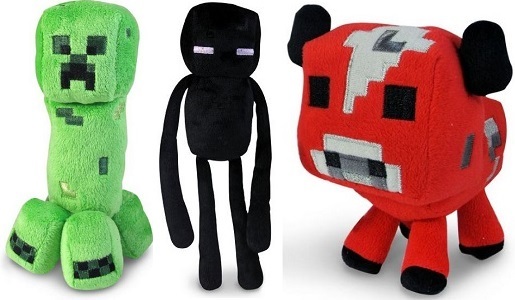 Minecraft Plush Characters As Low As $4.40 Shipped! There are TONS of great deals on Minecraft plush characters right now! They make excellent gifts! Minecraft Baby Mooshroom Plush only $5.20 with free shipping! Minecraft Baby Ocelot Plush only $4.40 with free shipping! Minecraft Squid Plush only $4.40 with free shipping! Minecraft Baby Sheep Plush only $5 with free shipping! Minecraft Enderman 7″ Plush only $4.80 with free shipping! Minecraft Baby Cow Plush only $5.40 with free shipping! Minecraft Bat Plush only $5.10 with free shipping!